We introduced group plans on Project Fi as an easy way to share your phone plan with friends and family, and now you can finally include the whole family. Starting today, you can add your children under 13 to your Project Fi group plan using a Google Account managed with Family Link. When you add a child to your plan, you’ll both enjoy the Project Fi features you know and love—like easy data alerts, seamless switching between networks, and automatic connection to free Wi-Fi hotspots—in addition to the features already available in the Family Link app that you can use to set digital ground rules that work for your family. One of parents’ top concerns is keeping an eye on their children’s data usage. With Project Fi, you can easily manage your child’s data usage and set data alerts for you and your child to help them understand how much data they’ve used each month. With the free Family Link app, you’ll be able to easily manage your child’s apps, keep an eye on their screen time, and remotely lock your child’s phone when it’s time to put devices away. 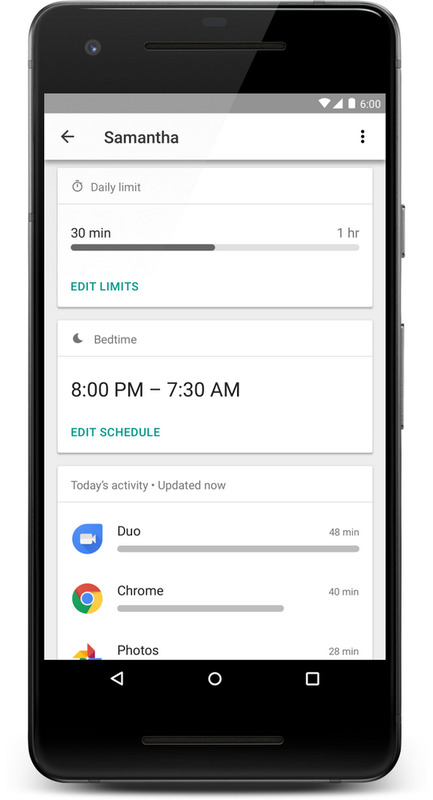 You’ll also be able to manage certain device and account settings for your child, such as content filters in Chrome, Search, and other Google services. Ready to set your child up with Project Fi? Create an account on Family Link, add your child to your Project Fi group plan, and pick a Fi-friendly phone—whether it’s your old phone or a new one like the budget-friendly moto g6—to get started.